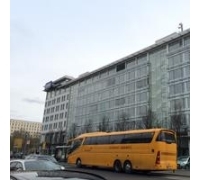 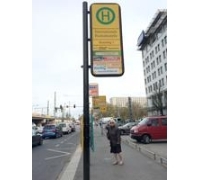 Our bus stop is located near the train station (opposite the train station entrance). 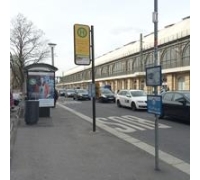 On the street Bayrische Str., the bus stop is marked "Internationale Bushaltestelle, Bussteig 1 or 2" (platform number 1 or 2). 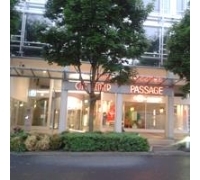 There is the shopping center "City Center Passage" close to the bus stop.